Coral Travel TR, which had a booth of 170 square-meters, hosted R.O.T. Minister of Foreign Affairs Mevlüt Çavuşoğlu, bureaucrats from various cities, and journalists as well as the members of OTI Holding Board of Management and Coordination, Coral Travel and ODEON Tours General Managers and journalists in the first two days. 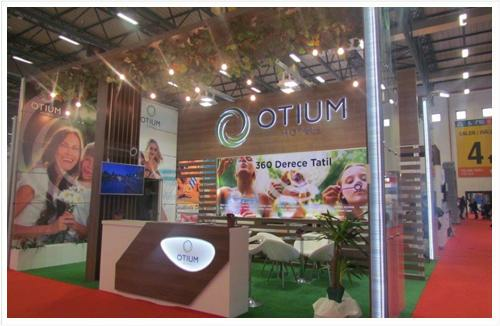 Xanadu Resort Hotel and Otium Hotels, which participated in the Exhibition at the 3rd hall with their last year's booths, have been very busy with interviews made by their sales and marketing teams throughout the exhibition. Coral Travel in tour operators category and Otium Hotels in the accommodation category were rewarded with the “Best booth decoration” award. Their plaquets were given by ITE Tourism Travel and Fashion Director Hacer Aydın and EMITT Turkey Sales Director Deniz Çerçioğlu.